We discuss our thoughts on the Live Action Jungle Book and the New Pixar movie The Good Dinosaur. We head to Jenna and Ryan’s to film a Whats Ryan Tryin Video but it was a fail!! Please Subscribe, Like and Comment!! Welcome to Bin and Jon’s Second Channel!! This channel is all about our lives: raising Teagan, Toy Shopping, Travels, and of course the normal everyday life that we lead!! 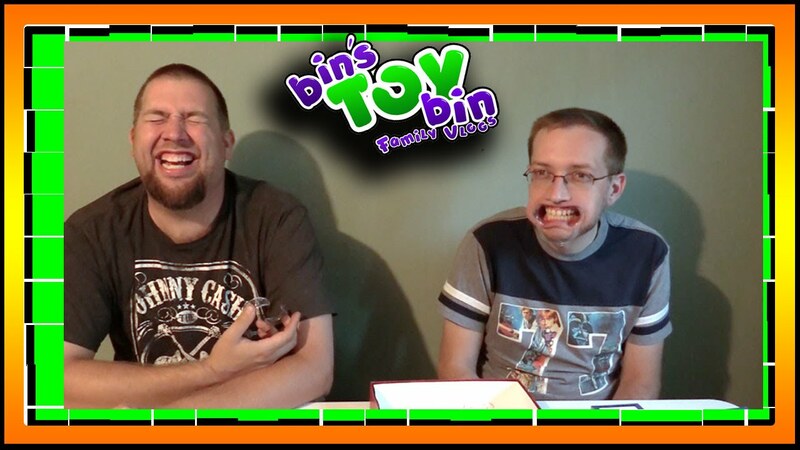 We hope you enjoy the look behind the scenes of the Bin’s Toy Bin Family! The Good Dinosaur seems like a movie geared toward smaller kids than other Pixar movies which are for everyone. To me the plot seems to copy The Lion King, because of the scene where Arlo's father falls into the waterfall, similar to the 'herd' in lion king. I agree with your opinion of The Good Dinosaur. I liked the live action Jungle Book but not enough to buy it. The Good Dinosaur was a major disappointment for me. It's the only Pixar/ Disney movie I've ever hated (and I go easy on Pixar/Disney movies too!) it felt like it had no plot to it at all and was completely random? I'm glad that Teagan likes it though! Welcome to the Jon and Bin show! Today's episode: breakfast sandwiches! I have one of those dustpans to clean up when my kitties kick their cat litter out of the tray! lol. Those waffle things looked yummy lol. Bin you are so crafty 🙂 I haven't seen the Good dinosaur but I don't think it was a hit. So many of the toys are on sale everywhere (which is great for Teagan if it's the same in the USA). I haven't seen the Jungle Book either, I am just not a fan of the Live action Movie remakes, I haven't even seen Cinderella yet. I am looking forward to Beauty and the Beast though. Teagan sounds like me when I was little, I watched Annie (the 1980's one) over and over and over everyday lol!! Love the one handed driving there Bin 😛 haha! The Animated Jungle book was the first movie I seen in the Cinema when I was a kid, it must have been a re-release as it would have been the early 90s. Dark. The word you are looking for is dark. We were not impressed either.